Data Summit 2017 , Dublin. 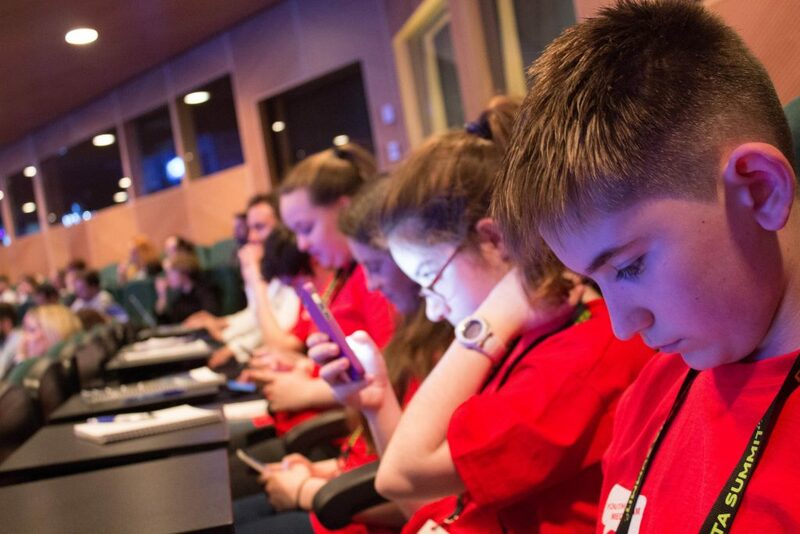 The Youth Media Team went to the Data Summit in Dublin. 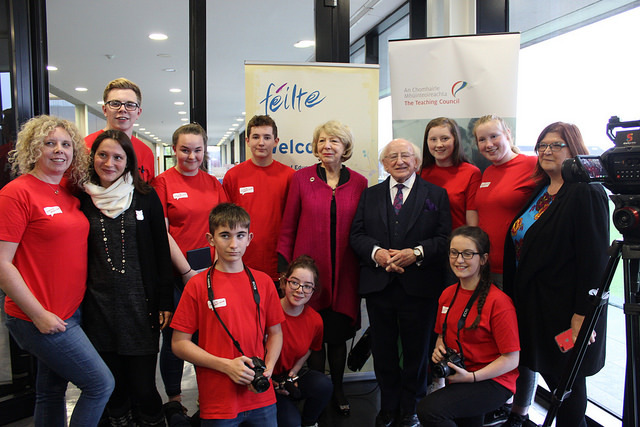 Two of our members , Anna and Lorcan, told us about this event . They talked about the event , who they interviewed , what they enjoyed and if there was anything they had wanted to be different. Lorcan interviewed Mark Little, current affairs reporter, broadcaster and author who chaired the keynote addresses and many of the sessions at Data Summit 2017. He told us about how people interact on social media, gave us an interesting insight into the potential of data to support more personalised healthcare. 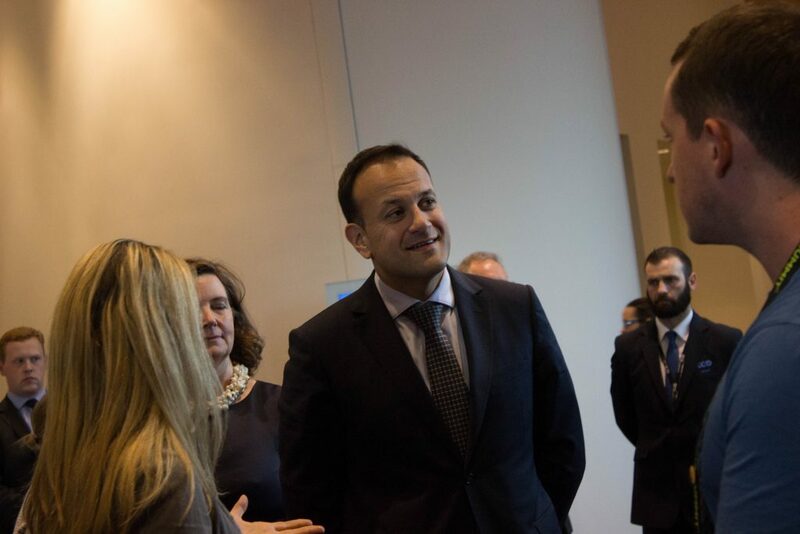 He also spoke to us about the opportunities for emerging Irish companies and as an experienced and successful entrepreneur, he gave some good advice for entrepreneurs in the digital age. 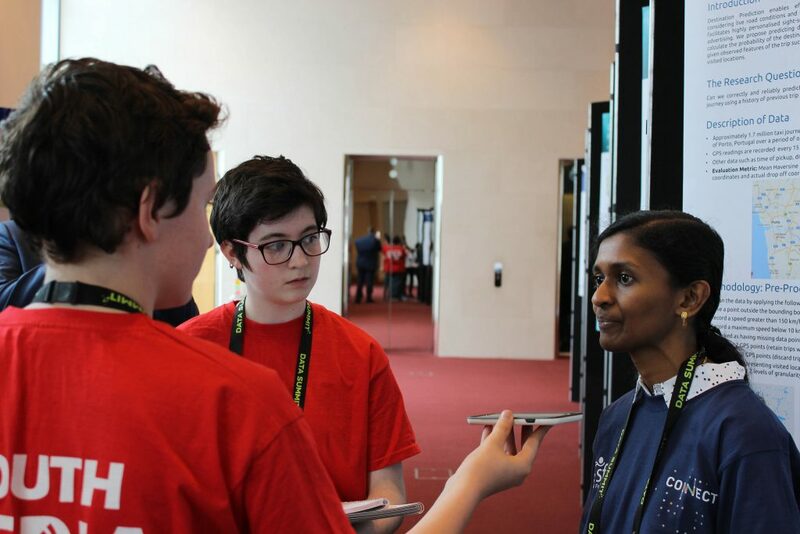 Lorcan had an opportunity to interview Minister Dara Murphy, Minister for State for European Affairs, Data Protection and the EU Single Digital Market who was a key figure in hosting the Data Summit. He spoke to us about the reasons behind the Data Summit and how new legislation will impact on both Irish businesses and consumers. 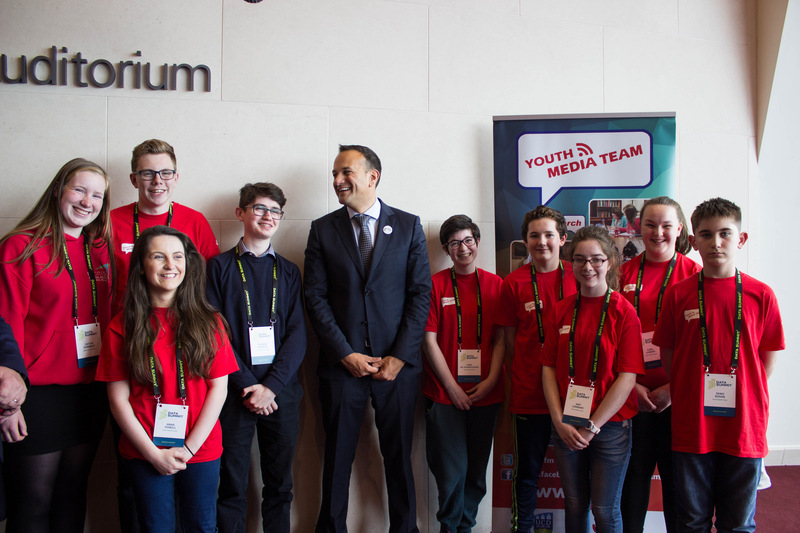 Following on from our recent visit to the European parliament, we got an insight into his concerns about Brexit and also told us about the advantages that EU membership brings to young people in Ireland. At the end of Day One at DataSummit 2017, we interviewed Owen Ryan from Social Innovation Fund Ireland and Sam Whelan Curtin from DataKind. Owen told us about how SIFI help companies addressing social issues to maximise their impact and also spoke about the found Think Tech awardees present at Data Summit 2017. Sam explained that DataKind’s ultimate goal is to help charities and institutions understand the power and impact data science can have on their ability to deliver their mission more effectively. 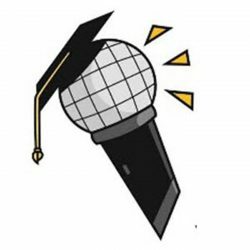 DataKind DUB is parter of a wider world-wide movement and try o collaborate with both companies and charities to share ideas and projects, paving the way for the growing local data-for-good movement. 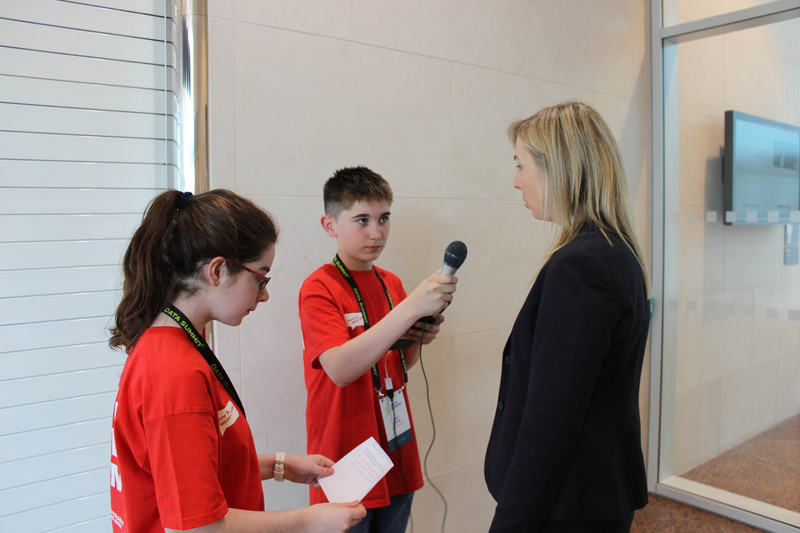 Cara and Anna interviewed Paraic Nolan from Big Red Cloud. Padraic told us about what Big Red Cloud does and how important data protection is. We also asked him about why we need events like today’s Data Summit in Ireland. Anna and Amy interviewed Jekaterina Macuka. She is part of the Ministry Of Justice Of Republic Of Latvia. She told as little bit about herself and her role within the Government. She told us why events like this are important. She also told us why representation from different countries is important. She said she was happy with what she had gotten out of today. Amy and Anna interviewed Tom Heerey, a lawyer with Microsoft. Tom shared his views on the Data Summit with us. 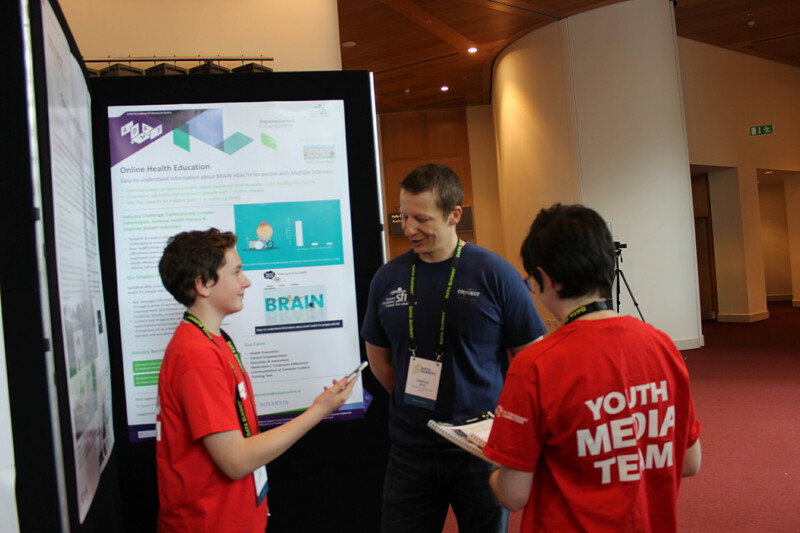 Cara and Denis interviewed Dr TJ McIntyre at Data Summit in Dublin 2017. Dr TJ McIntyre is Lecturer in Law, University College Dublin where he specialises in issues involving information technology law and civil liberties. He holds a BCL from University College Dublin (First Class Honours), an LLM from University College London and a PhD from the University of Edinburgh. His doctoral thesis was on the topic of internet filtering law and governance. Dr. McIntyre told us about why he thinks data protection is important and why we need to have events like today’s Data Summit. Cathal Ryan is an Assistant Commissioner with the Office of the Data Protection Commissioner Ireland. A qualified lawyer with significant commercial and regulatory experience Cathal heads up the Office’s Public Sector and Health Consultation Section. This Section is responsible for overseeing the Office’s function of proactively providing data protection awareness and best practice guidance to all public sector and health bodies to ensure their activities are carried out in compliance with data protection law. Professor Feely is Vice President for Research, Innovation and Impact and a Professor of Electronic Engineering at University College Dublin. She holds a BE degree from University College Dublin and MS and PhD degrees from the University of California, Berkeley, where her PhD thesis won the DJ Sakrison Memorial Prize for outstanding and innovative research. While at UC Berkeley, she also won the Outstanding Graduate Student Instructor Award. She leads a research group in nonlinear circuits and has been awarded research grants and prizes from a number of national, international and industry sources.